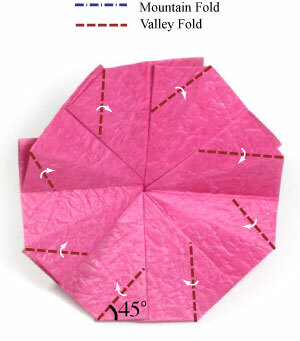 Apply the last angled valley-fold. Prepare to turn the origami clematis flower model over. 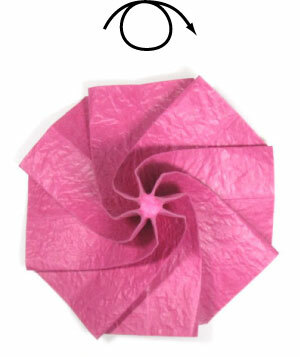 Turn the origami clematis flower model over. Prepare to apply eight valley-folds.